Drafted first overall by the Chicago Cardinals as a “future pick” in the 1945 NFL Draft, Trippi was being pursued by various teams, including ones in the All-America Football Conference. But, he signed a contract with the Cardinals for $100,000. Trippi could and would do anything on a football field. 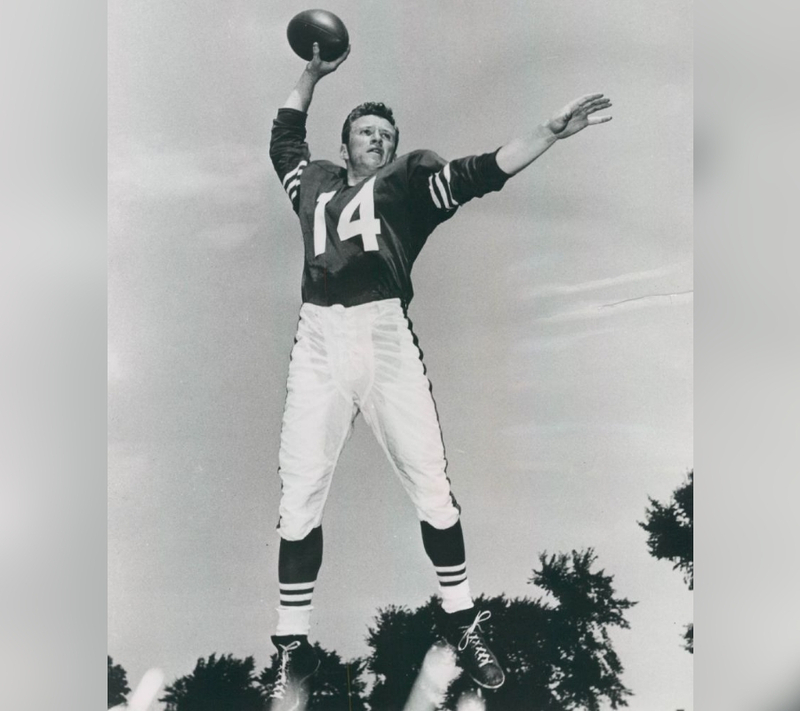 He played as a left halfback for four seasons before switching to quarterback for two years. During his rookie season, the Georgia alum led Chicago’s “Million Dollar Backfield” to victory in the 1947 NFL Championship Game. 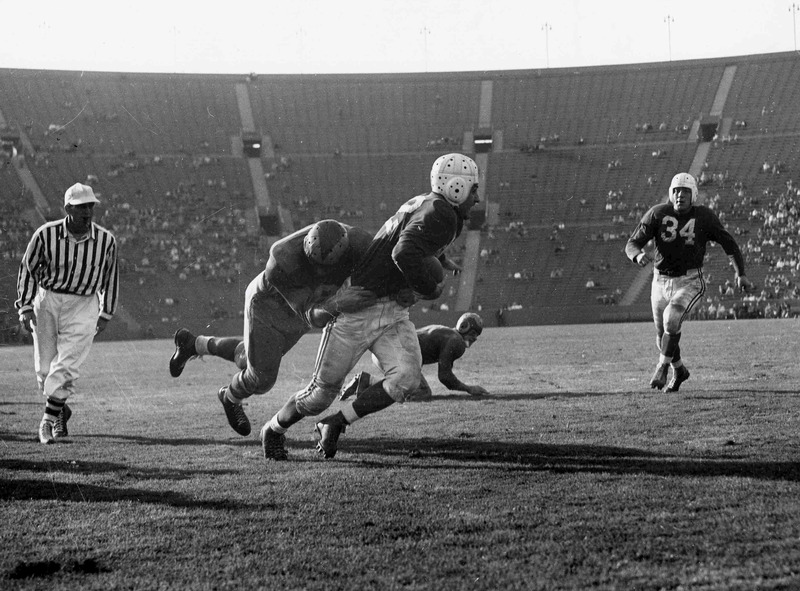 Bednarik didn’t get into football until he returned home from World War II. The Philadelphia Eagles drafted one of the most devastating tacklers in the history of football in 1949. 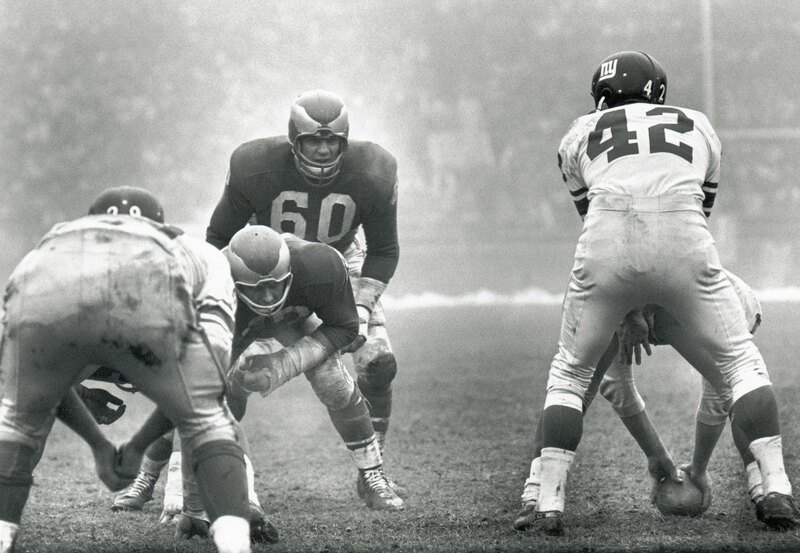 He was a member of the Eagles’ NFL Championship teams in 1949 and 1960. The second championship game was more notable thanks to Bednarik. With just seconds remaining, Jim Taylor of the Green Bay Packers appeared to be heading for a game-winning touchdown until the last Eagle in his path, Bednarik, bear-hugged him to the ground as time ran out. The next first overall pick enjoyed two appearances in the Super Bowl, winning and losing in each one. 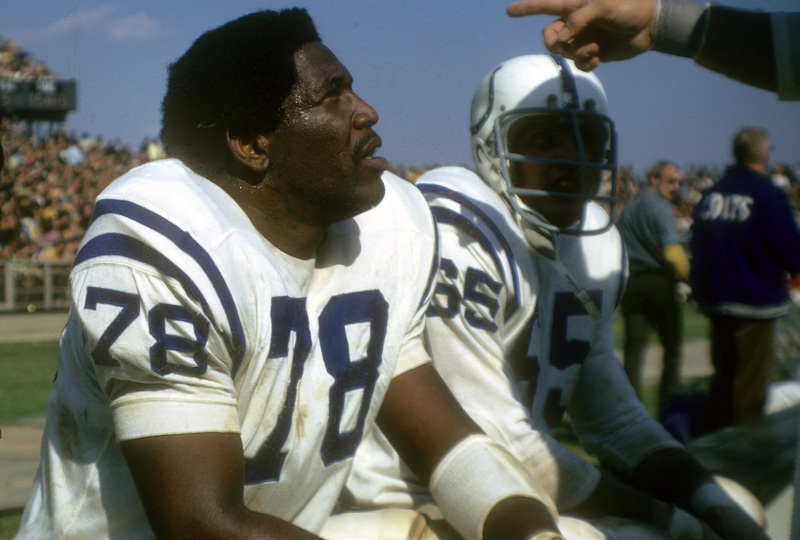 After the Baltimore Colts drafted the quarterback in 1955, Shaw quickly became the starter. However, in the early part of the 1956 season, the Oregon alum broke his leg and was replaced by Johnny Unitas. As Unitas embarked on his iconic career, Shaw remained in Baltimore for two more seasons as the backup quarterback. But, he did manage to be with the team when they won the NFL Championship in 1958. After playing in New York, Shaw started the first game in Minnesota Vikings history. Many insist that the team’s bonus draft pick of 1957 was the most important contribution to the Green Bay Packers success. Known as “The Golden Boy,” Hornung was a leader whom the Packers looked for the big plays in the big games. In addition to his versatility playing halfback and placekicker, the 1956 Heisman Trophy winner was a quarterback at Notre Dame. He played on teams who won four NFL titles, including the first Super Bowl. The first selection of the 1967 NFL Draft played nine years in the NFL. The Michigan State alum was the Colts starting defensive end for five seasons. Smith did enjoy two appearances in the Super Bowl. The Colts lost in Super Bowl III but took home the Lombardi Trophy two years later. Their main strength in the second attempt was their defense. Despite being 6’7,” the Pro Bowler anchored the line with his tremendous quickness. Before he signed with Oakland, the next player ahead was on two different teams. Bradshaw was the first player selected in the 1970 NFL Draft by the Pittsburgh Steelers. His physical skills and on-the-field leadership played a significant role in every one of Pittsburgh’s championship seasons. 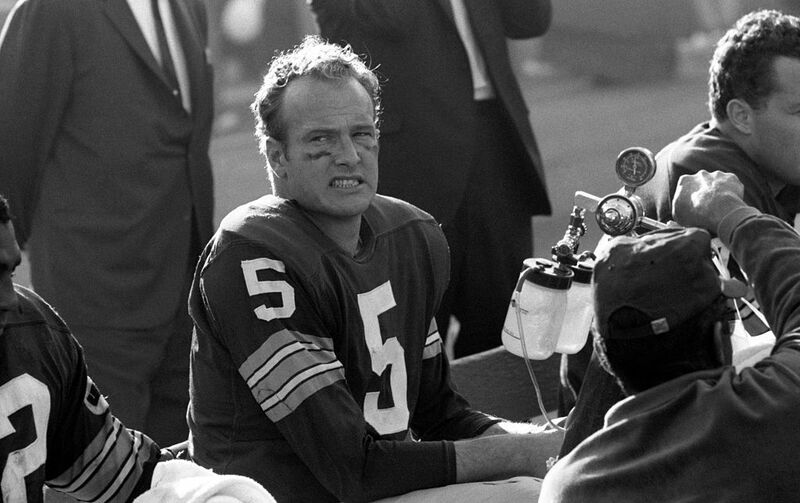 Bradshaw’s fourth-quarter touchdown pass in Super Bowl IX put the Steelers within reach of their first Lombardi Trophy. 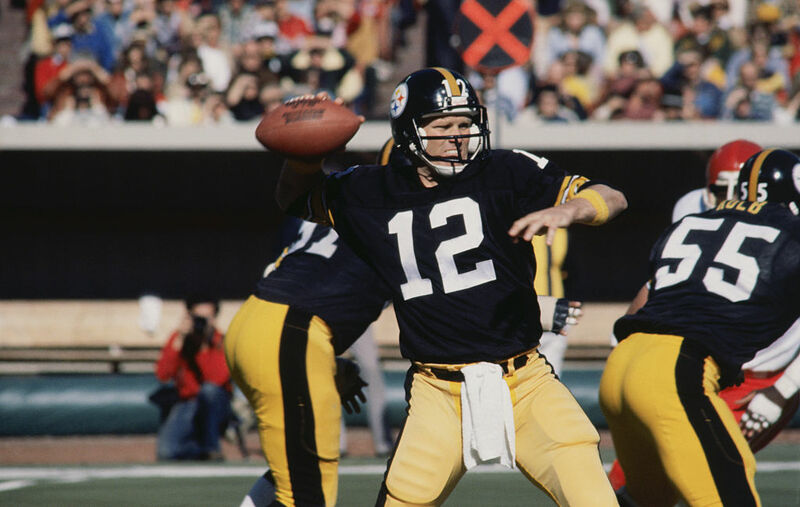 In Super Bowl X, the Hall of Famer would throw another winning touchdown pass to Lynn Swann. In the six years from 1974 to 1979, the Steelers won four titles. A Heisman Trophy winner during his tenure at Stanford, Plunkett was selected by the New England Patriots in 1971. His tenure with the Patriots, as well as the San Francisco 49ers, was unsuccessful, leading him to be signed by the Oakland Raiders. Despite serving as the backup, he eventually became the starter during the 1980 season. 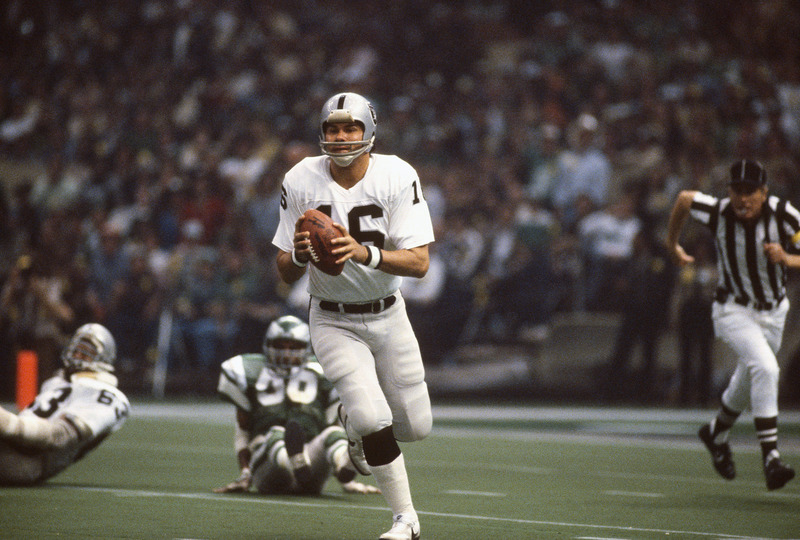 From there on, Plunkett guided the Raiders to Super Bowl XV, where he was named the MVP. 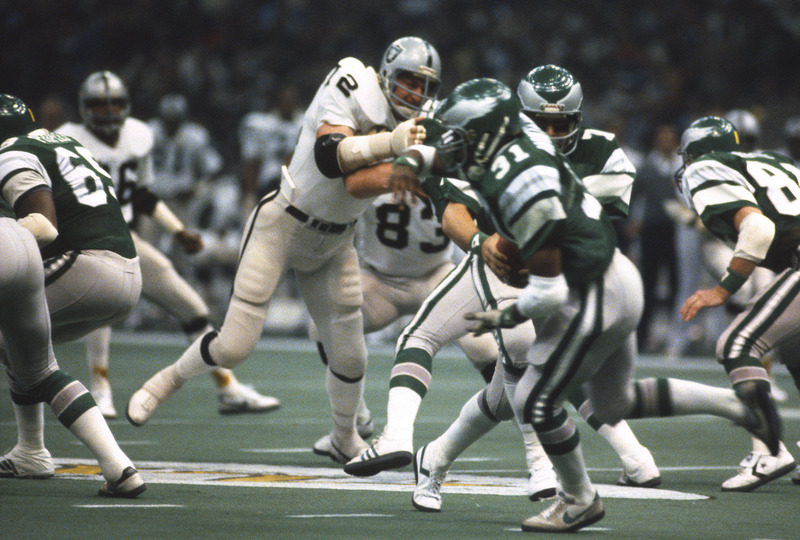 In 1983, he ascended from backup to starter to assist Oakland in winning Super Bowl XVIII. The Houston Oilers took a chance on the Tampa alum in the 1973 NFL Draft. Matuszak joined the World Football League, which would eventually lead him to being a member of the Kansas City Chiefs. After two seasons with the Chiefs, the defensive end signed with the Raiders in 1976. He would help the team win two Super Bowls before his career was overshadowed by his drug use. Matuszak died on June 17, 1989, as the result of an accidental overdose. Read ahead to see the quarterback who was traded immediately after being drafted. 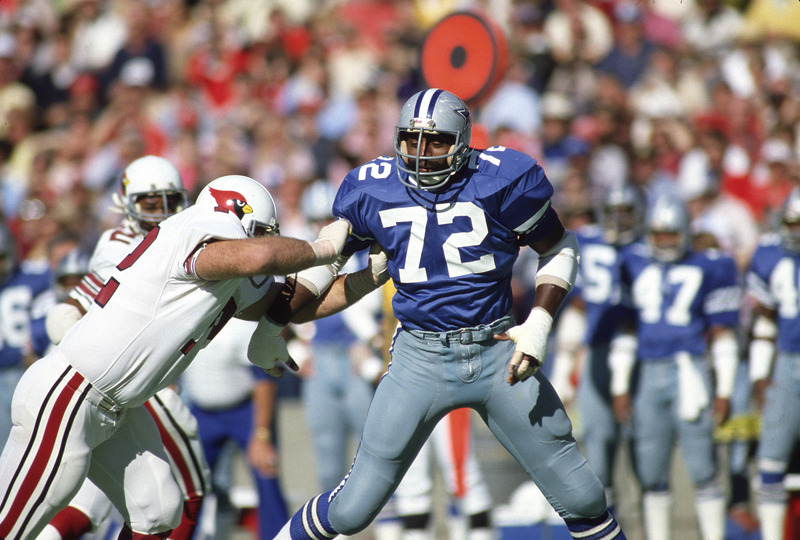 “Too Tall” was 6’9″ when the Dallas Cowboys took him first overall in 1974. Over the course of five seasons, he would help the team win Super Bowl XII, but in the prime of his career, he left football to attempt a career in boxing. Jones would win six professional bouts as a heavyweight, with a perfect 6-0 record. He would return to the gridiron in 1980, and performed even better than his first stint with the Cowboys. The Tennessee State alum earned All-Pro and Pro Bowl honors three times from 1981 to 1983. Another Heisman Trophy winner, the New Orleans Saints selected the running back first overall in 1981. As a rookie, Waters was named to the Pro Bowl as well as being named the NFL Rookie of the Year. In 1985, he was traded to the Washington Redskins where he had some his biggest professional success. 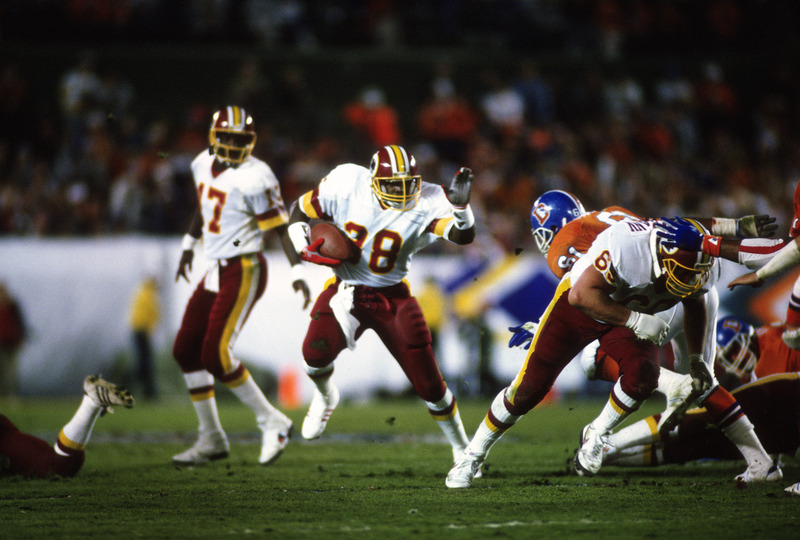 Waters and the Redskins won Super Bowl XXII, but Rogers retired due to nagging injuries after the conclusion of the 1987 season. He still ranks second all-time on the single-season rookie rushing yards list with 1,674 yards. The first-round draft choice of the Colts in 1983, Elway was immediately traded to the Broncos. As Denver’s signal caller, Elway became one of the most feared quarterbacks in the league. The next player ahead was the New England Patriots quarterback before Tom Brady. The UCLA great joined the Cowboys as the first overall pick in 1989. As a young quarterback, as he improved, so too did the Cowboys. In 1992, Dallas’s worst-to-first ascent was on full display. The team rolled through the playoffs, capping it off with a 52-17 victory over the Buffalo Bills in Super Bowl XXVII. Over the next three seasons, the Cowboys enjoyed two Lombardi Trophies. 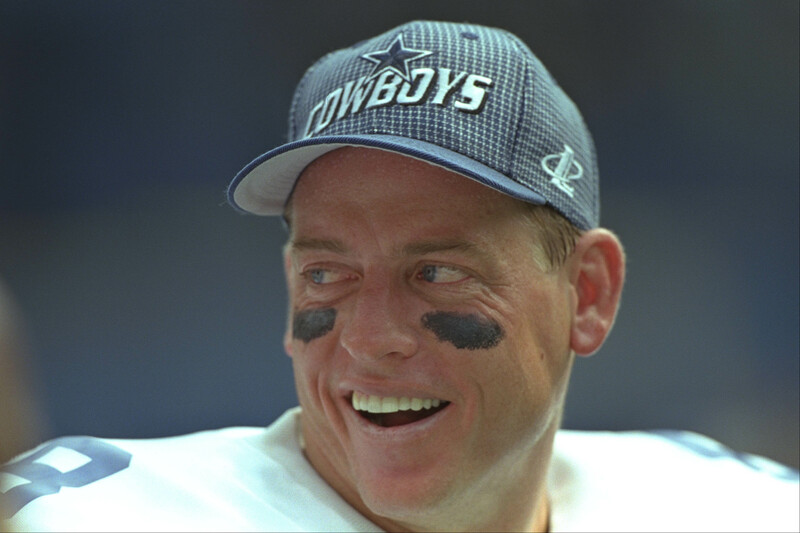 At the time of his retirement, Aikman became the winningest starting quarterback of any decade in NFL history with 90 wins. The Cowboys were in full rebuild mode after taking Maryland first overall two years after Aikman. In his rookie season, the Miami alum was a defensive tackle who showed the relentless motor and effort he became known for. 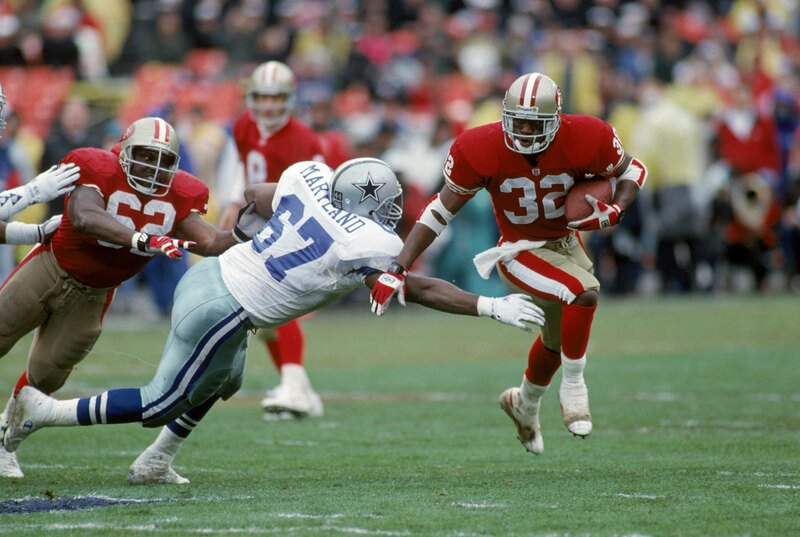 Maryland’s specialty was being stout against the run, helping Dallas secure three Super Bowls throughout the nineties. In 1996, he signed as a free agent with the Raiders for four seasons. In 2000, he signed with the Packers, playing one season before retiring in 2001. 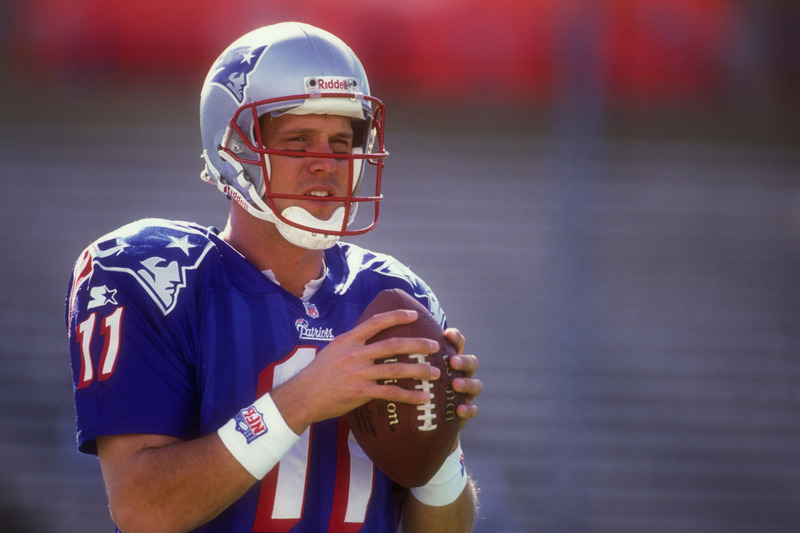 The Patriots selected the quarterback first overall in 1993 and started for them right away. Bledsoe would find life in 1996, pushing New England to the playoffs as well as the AFC Championship Game. That led to an appearance in Super Bowl XXXI, but they lost to the Packers. Bledsoe didn’t finish his career in New England. In 2001, after linebacker Mo Lewis hit him, he suffered a sheared blood vessel. Replacing the Washington State alum was none other than Tom Brady, who would lead the team to Super Bowl victory with Bledsoe on the sideline. For 14 seasons, the next player ahead improved the fortunes of a struggling franchise. The New York Jets drafted the wide receiver first overall in the 1996 NFL Draft. He was traded to the Tampa Bay Buccaneers in 2002, a team who had fallen one game short of the Super Bowl the previous season. 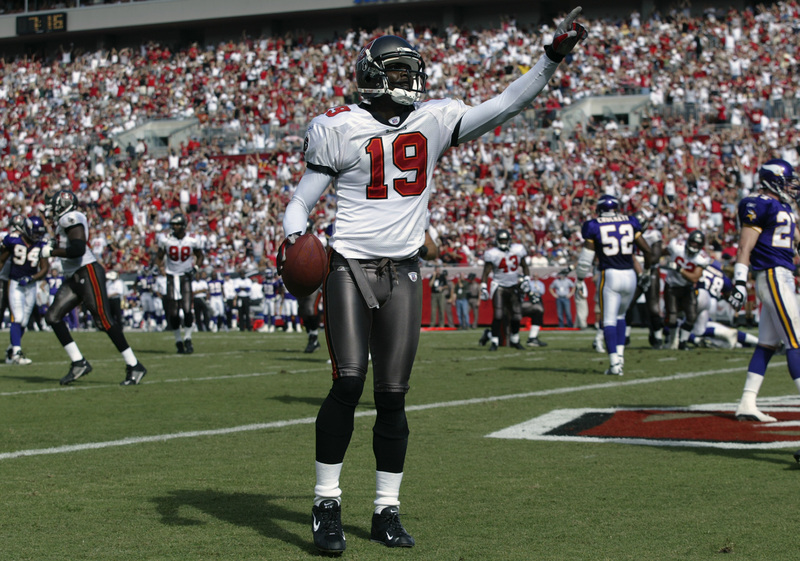 After he was traded, Johnson went on to win a Super Bowl with the Buccaneers after the arrival of coach Jon Gruden, who succeeded Tony Dungy. After his playing days, Johnson became an ESPN analyst for Sunday NFL Countdown and Monday Night Countdown. 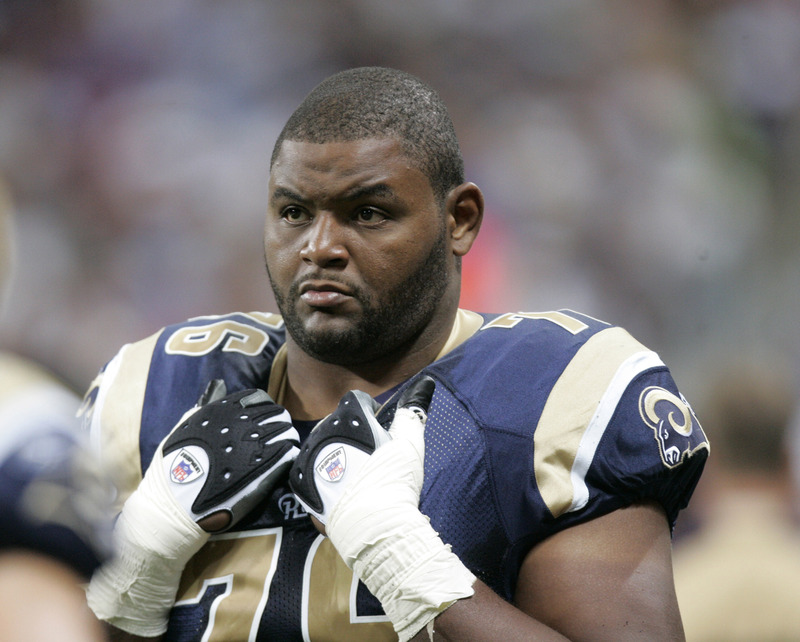 Pace was not only a St. Louis Rams draft pick, but an integral member of the team’s defense. The 1999 Rams won in the NFC West division title en route to a thrilling victory over the Tennessee Titans in Super Bowl XXXIV. That was the franchises’ first NFL title since 1951. Following the playoff run, Pace continued to help protect quarterback Kurt Warner. 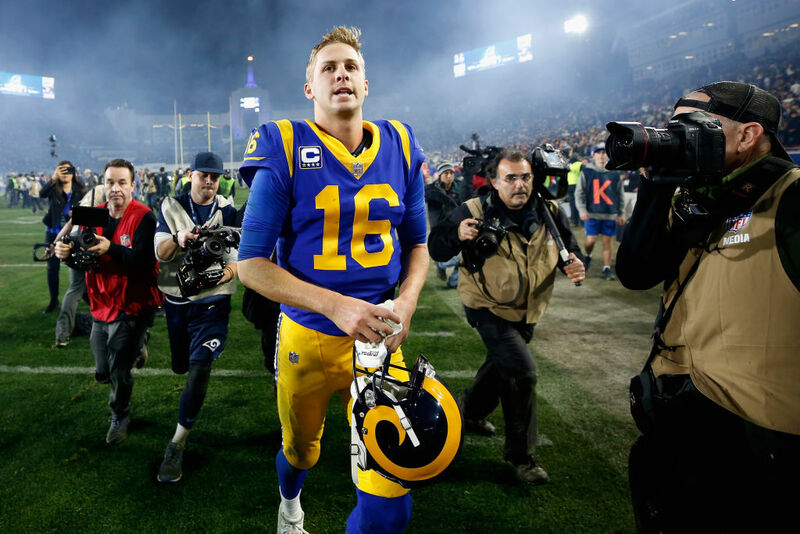 The Rams found themselves in another title game but lost after the Patriots kicked a game-winning field goal. The Indianapolis Colts struck gold after taking the quarterback with the first pick in 1998. For 14 seasons, he improved the fortunes of the struggling franchise, leading them to two AFC Championships, and one Super Bowl title, the franchises’ first in over three decades. 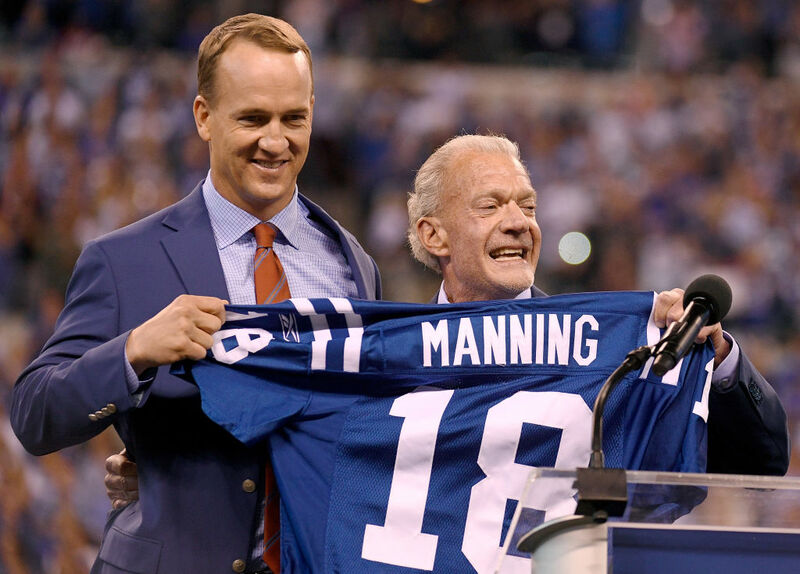 After missing the 2011 season due to a neck injury, Manning was released by the Colts. He would sign with the Broncos for his last four seasons. Thankfully, his iconic playing career concluded with a victory in Super Bowl 50. The Fresno State alum was the Houston Texans first-ever draft pick in 2002. Carr would eventually find his way to Carolina, San Francisco and made two stops with the New York Giants. 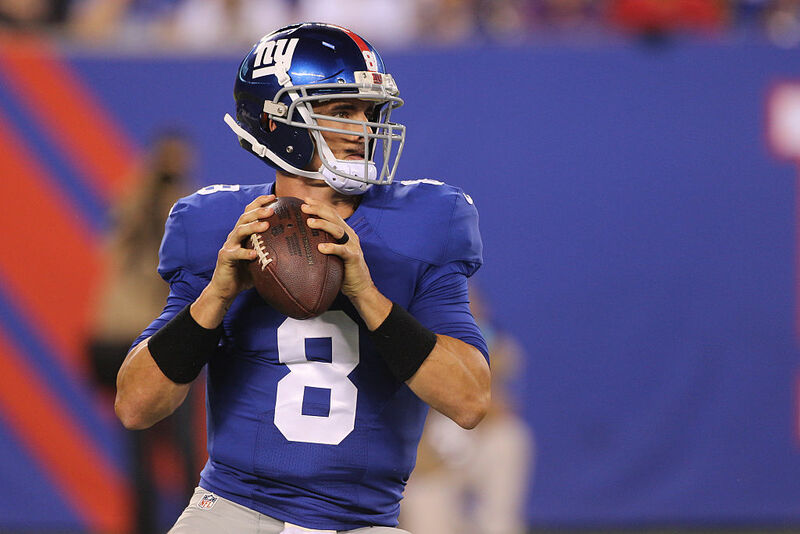 During his time with the Giants, he served as the backup to Eli Manning. 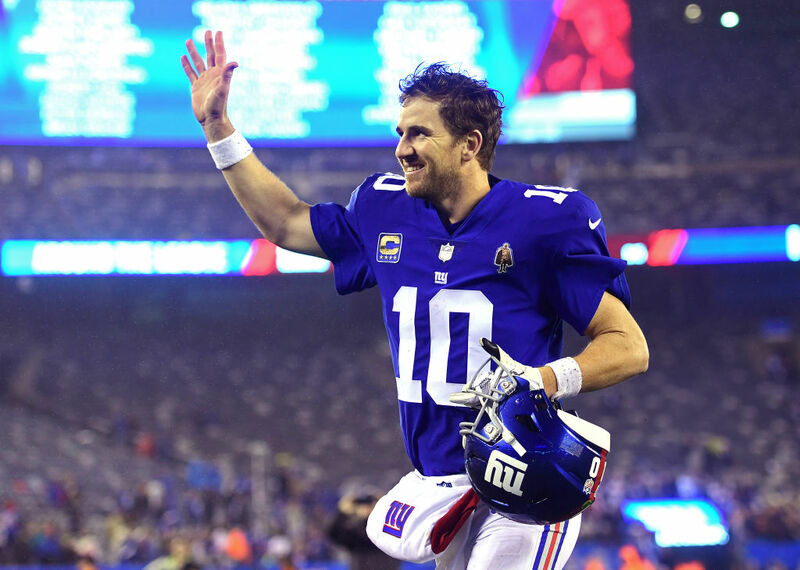 He would receive his only Super Bowl ring in the 2011 season in Super Bowl XLVI. Despite earning a ring, Carr’s status as a number one draft pick has led to him being considered a draft bust. The San Diego Chargers drafted him first overall in 2004, but traded him to the Giants immediately after. The younger Manning holds Giants’ franchise records for most passing yards, touchdown passes, and completed passes in a career. In addition, the Ole Miss alum guided the team in two Super Bowls, beating the Patriots in both games. Manning was named the MVP in both of those games. He became one of five players to have multiple Super Bowl MVPs, including Bart Starr, Terry Bradshaw, Joe Montana, and Tom Brady.